The House with a Clock in Its Walls, 2018. 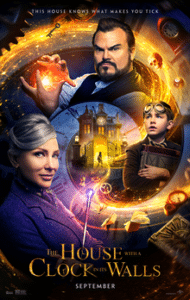 Starring Jack Black, Cate Blanchett, Owen Vaccaro, Renée Elise Goldsberry, Sunny Suljic and Kyle MacLachlan. Schlock-horror maestro Eli Roth (Cabin Fever, Hostel) makes a wildly left-field gear-shift with his latest project, a family-friendly adaptation of John Bellairs’ 1973 fantasy-mystery novel. And while it’s certainly both well-made and compellingly performed, the sum of its parts are mostly disappointingly inoffensive to a fault. 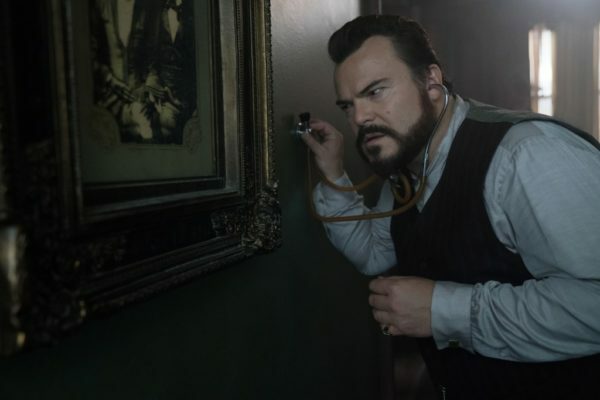 In 1955, 10-year-old Lewis Barnavelt (Owen Vaccaro) is sent to live with his eccentric uncle Jonathan (Jack Black) in his ornate, sprawling mansion, which just so happens to contain a ticking clock within its walls. With the weirdness soon mounting up, Lewis comes to learn that his uncle is in fact a warlock, and his kooky neighbour Florence (Cate Blanchett) a powerful witch. Once Lewis accidentally triggers an apocalyptic event, the three must combine their forces to keep it at bay. While the lauded lineage of Bellairs’ novel absolutely shouldn’t be ignored, it’s also impossible not to view this adaptation through the lens of contemporary cinema-going, where 45 years since its publication the majority of the story’s constituent elements have been worked-through ad nauseum. 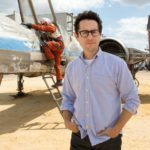 The orphan child shipped off to a barmy relative with a secret? The ancient evil accidentally resurrected? They’re just the moldiest genre tropes on display here, recycled with depressingly little subversion or ingenuity. What should make The House with a Clock in Its Walls stand out regardless, then, is the obvious Night at the Museum-esque appeal of our plucky protagonist exploring this ticking house and the peculiarities which reside within. If there’s any movie fit to serve up as many barmy, cartoonish digital creations as the budget will allow, it’s surely this one. 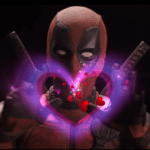 Frustratingly, the movie’s first act crawls along with little fuss or forward-momentum, leaving audiences waiting far too long for the titular subject matter to factor in. The melding of passable family drama and mid-brow fantasy shenanigans rarely feels unique in the genre, and there’s sadly not quite enough personality here to compensate. Its faults accepted, this is certainly never less than watchable thanks to its handsome production design, rock solid visual effects and the two-hander between Black and Blanchett, a combination of elements scarcely believable in an Eli Roth joint. Blanchett quite blatantly ducks out of the film whenever the budget can’t afford her, but she steals pretty much every scene she’s in. After all, how can you not love seeing her blast sentient pumpkins to gooey shreds with an umbrella? Elsewhere, there’s a blink-and-you’ll-miss-it cameo from Roth himself, and a few neat supporting performances in the bargain; Roth’s ex-wife Lorenza Izzo is alluring as a vision of Lewis’ mother, while Police Academy legend Colleen Camp has a few fun scenes as Jonathan’s crotchety neighbour, and Kyle MacLachlan capitalises on some hammy opportunities as the previous owner of Jonathan’s home. With talents like Black and Blanchett you’d be right to expect more, though; not necessarily a smarter movie, but surely one less restrained and more inclined towards shameless silliness. This is an odd complaint to have about a Roth film, to be honest, considering he hasn’t had much use for subtlety in his prior works. In his earnest attempt to make a family adventure movie, it seems he swung a little too far the wrong way. By the mid-way point there are just too many lengthy, drawn-out sequences of our young protagonist – a solid Owen Vaccaro – creeping around the house before getting caught short with a jump scare. There’s also too much exposition literally broadcast to both the protagonist and the audience, though a flashback reconstructed as a silent movie does admittedly have some throwback charm. It finally gives in to fully-fledged, wacky CGI onslaught mode in act three, but some of the effects are more offputtingly garish than entertainingly weird, and the already scarce handle the film has on its own internal logic is almost completely gone by this point. It is, at least, the portion of the movie that sees Roth at his most comfortable and assured, serving up heightened, wildly uneven thrills. 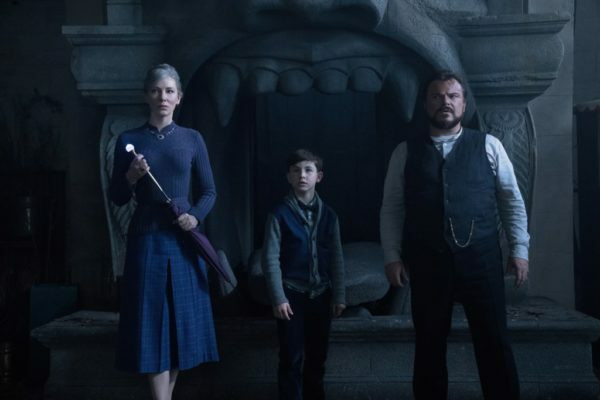 The House with a Clock in Its Walls is Roth’s most technically accomplished effort to date, yet despite the enthusiastic efforts of Black and Blanchett, it’s all a bit too stodgy and low-energy.